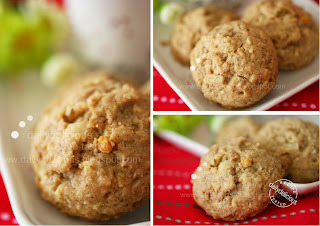 dailydelicious: Coffee Crunch Cookies: Easy cookie for coffee lover! 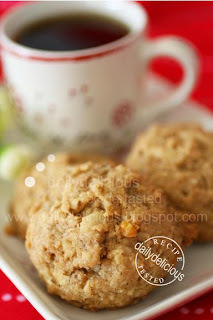 Coffee Crunch Cookies: Easy cookie for coffee lover! Coffee is the favorite flavor for my family member, you can see from my blog that there are a lot of sweet with a coffee flavor. 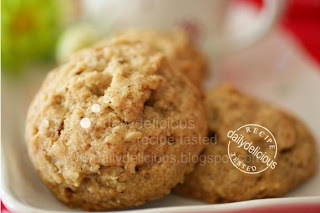 And this cookie is one of them, the combination of nut and the coffee turn into a delicious cookie. First I made this cookie when I don't want to eat an egg, so I just browsed through the book: It looks like a textbook than a cookbook, with a lot of recipes (but some of them are look alike, haha) anyway this book will give you a wide range of cookie recipes, and all of them have a picture to show you how they will be like. 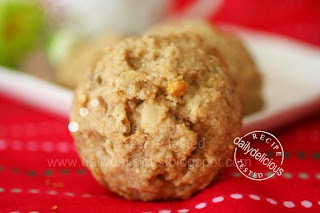 This cookie is very easy to make. Because there is no egg in this cookie so the texture of the cookie is more crumbly not cake like. 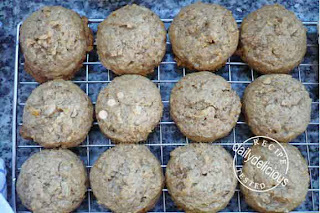 This cookie is best served with a cup of milk or coffee, because when eating together the cookie will melt by the milk and turn into delicious flavor in your mouth.It's better to use the instance coffee with a small granule or ground it before adding it into the flour mixture. Coarsely chop the walnut, and set aside. Sift the flour, baking powder, instant coffee granules and salt together, set aside. 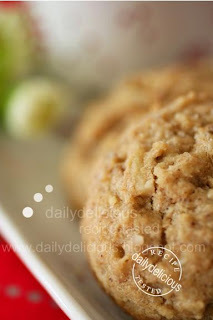 Beat the butter and sugar together until light, and pour the flour mixture and walnut into the butter mixture. Add the milk and mix well. Use a 2-ounce self-releasing ice-cream scoop to measure out the cookie dough. I am a coffee lover for sure :). When do we add in the baking powder cause you did not it during the process. Add it together with the flour. Thank you for inform me ^^. Hi, may I know what is Instant coffee granules? Thanks. It's an instant coffee, the one that can dilute in hot water and drinks ^^. oh, now I got it. those instant coffee that we drink. But can it be with sugars? Hi, I use the one without sugarมI use this one http://www.nescafe.com/products_flash_en_com.axcms#/?content=detail&imageid=71. Hi, may I know if I can use 2 in 1 instant coffee (coffee & creamer). I tried the coffee granules, the bits still present as dark spots in the cookies after baked, and the cookies were very bitter. Thanks. I don't think 2in 1 coffee is a good choice ^^. You can use less coffee if you find it's too bitter. And you can mix the coffee granules with milk (warm the milk) and stir until melt before adding it.